A man has been jailed after he fed his pet dog aspirin and paracetamol to try and kill her, before beating her to death with a shovel. 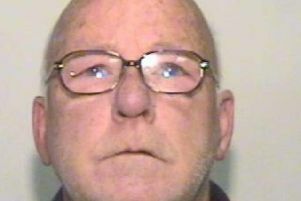 Graham Williams, 60, of Falcon Road, Birkenhead, appeared at Wirral Magistrates’ Court today (Thursday 10 November), to be sentenced for two offences of causing unnecessary suffering to the German shepherd, by subjecting her to blunt force trauma and for failing to provide veterinary treatment for an infected mammary gland tumour. Williams pleaded guilty to the two offences at an earlier hearing on 5 October. This week, he was sentenced to four months in prison and was disqualified from keeping all animals for life. The judge told the court that he would have imposed a longer sentence if the law allowed him to and he commended the RSPCA on its work to investigate such cases. RSPCA inspector Anthony Joynes, who investigated the case, said that the beating came to light after a member of the public heard Williams beating the dog and the dog squealing. He said: “They were so shocked that they dialed 999 immediately. “The dog, an 11-year-old German shepherd named Yarna, had been suffering with a melon-sized tumour and Williams decided to end things for her. “He fed her large amounts of aspirin and paracetamol and said this was an attempt to induce an overdose. Williams then took the dog outside and beat her multiple times over the head with a shovel, eventually leading to her death. “It was a brutal and barbaric end to her life at the hands of her owner whose responsibility it was to look after her and protect her from harm. A post mortem revealed Yarna had suffered multiple blunt force trauma injuries to the head.